'Game of Thrones Season 5' is an Upcoming Tv serial which is going be Broadcast soon on HBO English Entertainment Tv Channel . Game of Thrones Season 5 is a Fantasy Drama Television Series . This Series is Ordered by HBO With the Game of Thrones Season 6 Series. This Season 5 of Game of Thrones is Scheduled to premiere on April,12th,2015. It adapts material from A Feast for Crows and A Dance with Dragons,the fourth and fifth novels in George R. R. Martin's A Song of Ice and Fire series. 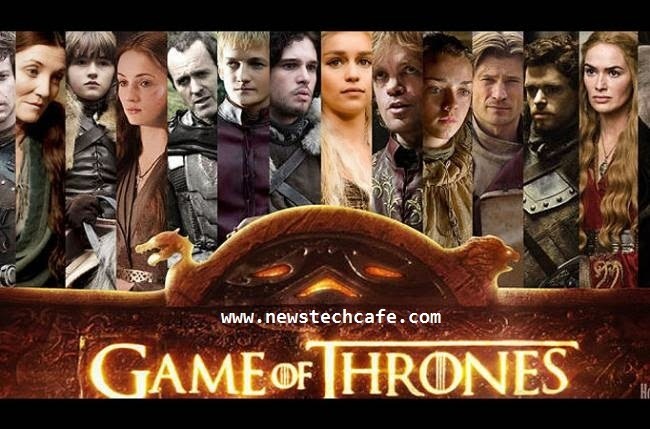 Last year, the series was the most searched television show worldwide on Google and the #1 most talked about show on Facebook in the U.S.
'Game of Thrones Season 5' is based on George R.R. Martin’s fantasy series 'A Song Of Ice and Fire', where political and sexual intrigue abound as seven noble families fight for control of the mythical land of Westeros. The epic series whose story lines of treachery and nobility, family and honor, ambition and love, and death and survival, has captured the imagination of fans globally and made it one of the most popular shows on television. Alfie Allen as Theon Greyjoy / "Reek"
Sophie Turner as Sansa Stark / "Alayne"
The Official Promo of 'Game of Thrones Season 5' is released by HBO .We are here Sharing the Promo / Trailer of the Show With Our Users. Watch it and Enjoy. The Entire Season of the Show is broadcasting in 170 Nation by HBO.